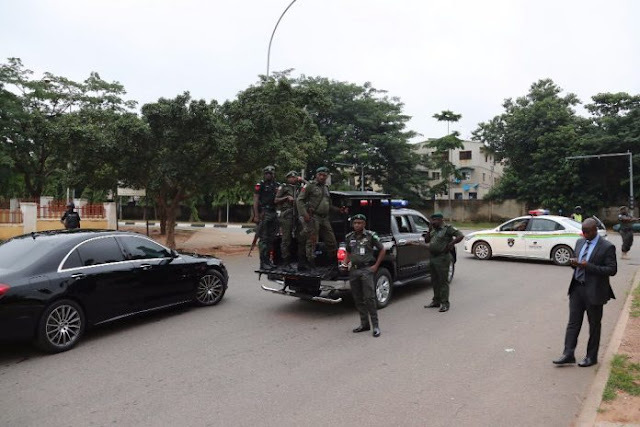 Police officers have prevented Senate President Bukola Saraki from leaving the street where his residence is located at in Abuja. The house is located on Lake Chad Crescent in the Maitama district of the nation’s capital. Bamikole Omisore and Olu Onemola, aides of the senate president, said he is being held back from honouring the invitation by the police over the robbery incident that took place in Offa, Kwara state, in April. 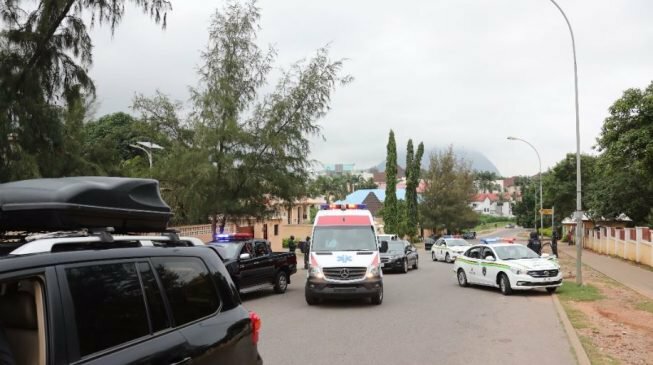 “The police just blocked the Senate president’s convoy,” Onemola told TheCable. On Monday, Ibrahim Idris, inspector-general of police (IGP), summoned Saraki over the heist. Idris said there was a need for the Senate president to appear at the office of intelligence response team (IRT) to make further statements on the incident. Saraki had responded saying that the invitation is politically-motivated. The Offa robbery led to the death of over 20 people including police officers. Five commercial banks were robbed. In a Monday letter to the Senate President, Idris had requested that Saraki reports to the Police Headquarters by 8.00am today. This is just as a joint team of operatives of the Department of State Security (DSS) and Economic and Financial Crimes Commission (EFCC) simultaneously laid siege to the Apo home of Deputy Senate President, Dr. Ike Ekweremadu. However, while the policemen at Saraki’s residence reportedly dispatched around 7:30 am, the DSS and EFCC operatives that stormed Ekweremadu’s residence were said to have remained there as at 8.00am.